Participation in this vacation requires purchase of the following flights from Globus, not included in the pricing: (1) roundtrip air from your U.S. gateway and intra-vacation air segments; or (2) intra-vacation air segments only, starting at $573. 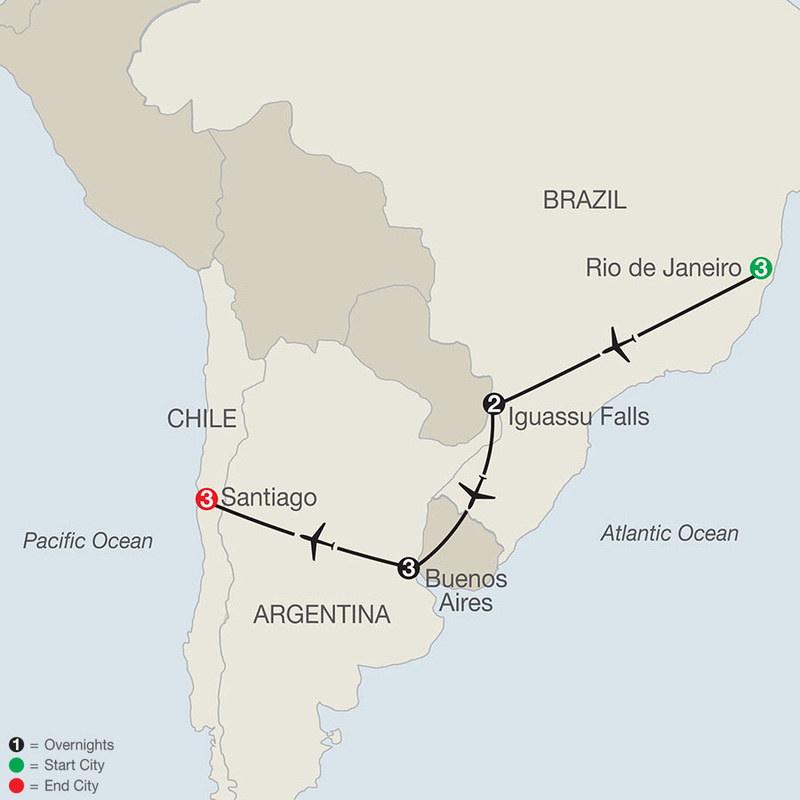 Required intra-vacation air segments: Rio de Janeiro/Iguassu Falls; Iguassu Falls/Buenos Aires; Buenos Aires/Santiago. Air prices were effective on July 11, 2018, and their availability is limited. At the time you purchase your tour, air prices may be higher.